Based in the West Malling Office since July 2018, Holly gained a Bachelor of Arts Degree in Town and Country Planning and a Bachelor of Planning, both from Manchester University. She has been a Chartered Member of the RTPI since 2001. 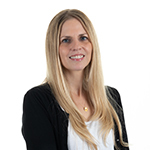 Holly has worked in the Planning sector since 1996 with over 20 years experience in the public sector. This included working across all disciplines within a variety of Local Authority planning departments, including Bolsover District Council, Crawley Borough Council, Reigate and Banstead Borough Council and Tonbridge and Malling Borough Council. She has a wide experience of all aspects of Development Management , including large scale new neighbourhood developments of 1000+ dwellings. Since joining Tetlow King Planning Holly has worked on a variety of applications ranging from small scale commercial proposals to large scale residential developments.